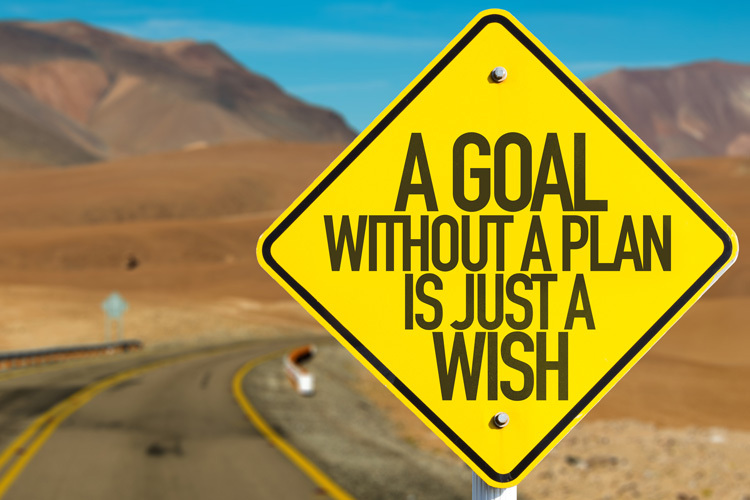 Goal setting is something that most of us have encountered at some point in our lives. It usually comes in some sort of chart that might have the acronym S.M.A.R.T. (Specific, Measurable, Attainable, Realistic, and Time). These are very important things to consider when we are creating goals, but they're not the only things components that matter. First, we need to talk about the different types of goals. The first is called an outcome goal and that goal focuses on the results you want to achieve. An example of an outcome goal might be to lose 10 pounds in three months: SPECIFIC: 10 lbs, MEASURABLE: Can be measured on a scale, ATTAINABLE: 10lbs in 3 months is a lofty goal but is able to be done, REALISTIC: Similar to Attainable, and TIME: within three months. Outcome goals like this are fantastic! The problem, however, is that we do not have complete influence over outcome goals. You are not 100% in control of whether you lose 10 pounds by that date that you specified. That’s where behavior goals come in. A behavior goal is something that you do that will influence your outcome goal. For example, a behavior goal might be to only eat real food for the next three months. This action is something that you are capable of controlling and will influence your outcome goal of losing 10 pounds in the next three months. Likely, if you only eat real food for three months, you will achieve weight loss by the end. While the actual amount of weight loss is out of your control, the behavior that helps get you there is completely in your control. Today, analyze some of the goals you had set. Have they been largely behavior goals, or outcome goals? Now that you know the difference between the two, I hope you’ve realized that the targets I have set for you thus far in the program are behavior goals. That is because I want you to have control over your own success! What was your initial goal when you began this program? Because this is a weight-loss targeted nutrition program, likely that goal was to lose weight. If this wasn’t your goal, that’s fine too! Most people tend to set outcome goals, so, today, think about a behavior goal that you can do for the next month that will help you work towards the outcome you desire. Perhaps you haven't been as consistent with this program as you would like to be. Your behavior goal could be to check into your nutrition page daily, and apply the principles being taught. I've designed this course to help you achieve weight loss, so that behavior goal of reading and applying the daily lessons should get you closer to that outcome goal of weight loss! Now, solidify that goal by writing it down. Put that written goal in a place that you will see it multiple times per day. Additionally, in your journal, write down a plan of how you are going to achieve that behavior goal. For example, your behavior goal might be to have a vegetable with each meal of the day for the next week. This is what you write down and put in visible places. In your journal, for your plan to achieve it, you might write “Make sure that tomorrow when I do my prep and shopping, I plan and purchase a vegetable with each meal.” As always, let me know if you need any help!